​Why is the TNPFC needed? Decreasing the severity of wildfires and the threats they pose to our state's communities. Relatively few people recognize this important role for prescribed fire. An organization that provides accurate and objective information on how prescribed fire can be used to achieve these benefits is needed if they are to be realized in Tennessee. Healthy ecosystems are important for all Tennesseans, whether you use prescribed fire or not. 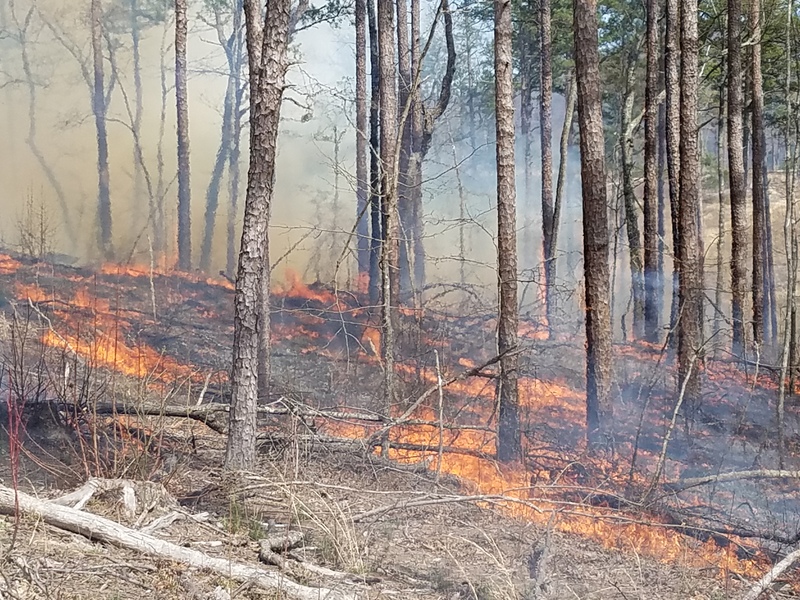 Prescribed fire is economical and can be more effective and efficient than many mechanical (bulldozers, mowers) and chemical (herbicides) methods when managing forests and fields. Correct application of prescribed fire can recycle nutrients, limit particulate matter in the air, and avoid soil erosion. ​What does the TNPFC do? Organize and host annual membership meetings where the latest information on prescribed fire ecology and management is discussed and committee activities are developed and reported. Fire-dependent communities, like oak savannas at Catoosa Wildlife Management Area, can provide habitat for rare and declining species. Shortleaf pine is an economically valuable timber resource. Reducing competition using fire is required to establish healthy populations. The tragic loss of property and life in Gatlinburg, TN, on November 29, 2016, was attributable to fuel accumulation during years of fire suppression. The TNPFC is led by an Executive Committee whose members are employed by the leading natural resource management agencies and organizations in Tennessee. Please see our Supporters for a full list of these entities. ​​​Can I be a member, or should I be involved? Your effort is needed to make a positive difference in Tennessee, and involvement does not necessarily mean a lot of your time. Keeping an open mind and objectively considering the merits of using prescribed fire, while informing your coworkers, friends and neighbors of the TNPFC is a great step toward public awareness. Involvement on TNPFC committees will help conserve more acres and promote enhanced habitat for many wildlife species, some of which have declining populations as a direct result of fire suppression. To join our effort, please follow the istructions listed within our brochure.